The Control 8000 universal converter operates optek photometric sensors along with 2 pH-probes and 2 conductivity sensors (optek patented ACF series) simultaneously. 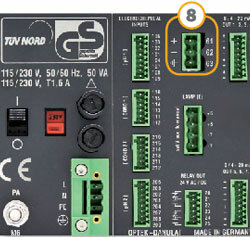 All measurements (2 x optical, 2 x pH, 2 x conductivity and 2 x temperature) are transmitted with the standard 8 mA-outputs and may also be displayed as text and/or bar graphs. 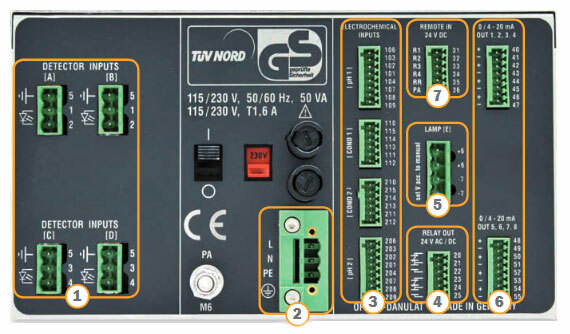 The combination of C8000 and ACF60 conductivity sensors allows a wide dynamic range from 0 – 10 μS/cm up to 0 – 850 mS/cm with the same sensor. 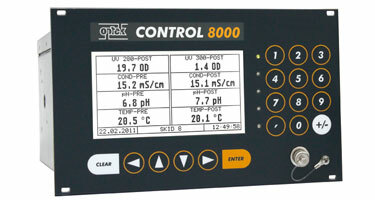 The Control 8000 is available in various configurations to meet the exact needs of your process.